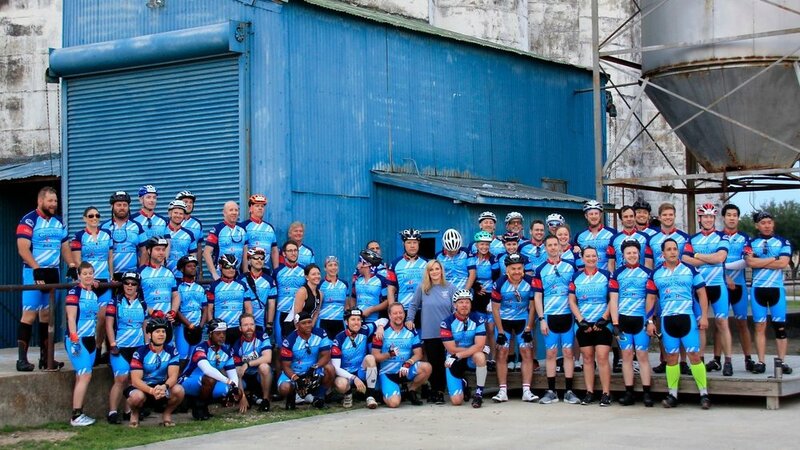 Team Greystar BP MS 150 participants. May 2018 | Dallas, TX — Last month RealFoundations sponsored and supported Team Greystar in the BP MS 150, a two-day fundraising bike ride benefiting multiple sclerosis research, organized by the National MS Society. Spanning the ~150 miles of course from Houston to Austin, TX, the BP MS 150 is the largest riding event of it’s kind in North America, hosting 13,000 cyclists with a fundraising goal of $14 million. Seven RealFoundations practitioners cycled in the ride, raising $6,088 in donations, contributing to Team Greystar’s total fundraising achievement of over $153,000 for the National MS Society. In addition to individual participant fundraising efforts, RealFoundations donated $10k to the National MS Society, in support of Team Greystar, a longtime client and partner of the firm. The National Multiple Sclerosis Society is a non-profit organization that advocates for people whose lives have been affected by multiple sclerosis. The organization’s focus is to create a space for people who have been affected by MS, or people whose lives have been influenced by MS in some capacity . All research efforts go towards their vision: "A world free of MS". Learn more about the National Multiple Sclerosis Society here.